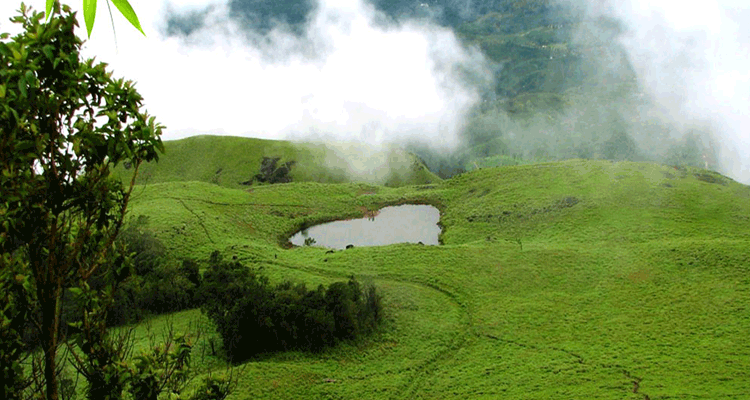 Wayanad has been known as a place abounding in amazing and scenic natural beauty as far as the eye can see. Located in the picturesque Western Ghats Mountains, Wayanad happens to be tucked away in a little tropical paradise that is very far away from the ravages of urbanization and everything that defines the modern world. Being located in such a beautiful and serene setting, the place has become something of a hotspot for anyone who desires a taste of nature in its purest form. Some go about doing this through treks, where they hike for hours or perhaps days, discovering hidden jewels that are scattered about in every last nook and cranny. Others take this a step further by actually staying in the location overnight and perhaps a couple of days, where they can experience nature in a way that happens to be completely different from a typical tourist visit or a trek. With regard to the actual camps, it can be said that Wayanad is a camper’s paradise, owing to the multitude of locations that are available for one to choose from. Thanks to a variety of locations, one is spoilt for choice when planning an adventure trip here. Locations that abound in natural beauty and which provide for a natural experience indescribable by words, can be found with very little effort in Wayanad. One of the most important of all camping locations in Kerala is Banasura Hills. 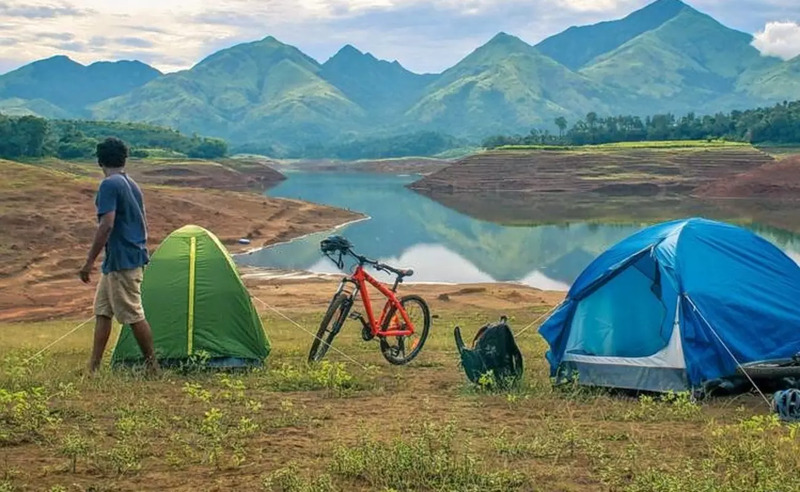 Located in a place that is abundant in natural vegetation, Banasura happens to be one of the most amazing of all places in Kerala to go camping in. While the place itself is largely off limits to any and all camping activities by the local forest department, there are several locations in which one can go camping, if in case they apply for the necessary permits. Much of it is because of a need for conservation as well as the safety issues of the campers owing to the presence of wildlife. The best time for one to go camping here would be during the months surrounding winters, just after monsoon. The camping can be augmented with a trek to the Banasura Hill summit where one can get a great view of the surrounding landscape. A famous hill in the district of Wayanad is Ambukuthi Mala, famous for the Edakkal Caves and located near to the town of Sultan Bathery. Situated at the base of this large hill is a very large green area that is popular among campers who visit the district for a great camping adventure. Located in a place that is surrounded by nature on all sides, the campsite makes for an excellent spot to experience the great outdoors. Adding to the flavor is the hill itself, which provides for an amazing backdrop to experience the camping adventure in. Vythiri is a small town located in Wayanad. The place is famous for its scenic views of nature and a great location for one to spend time in the great outdoors. Over the years, the town has become famous for one to just unwind and relax, owing to the peaceful and serene climate that abounds all around. 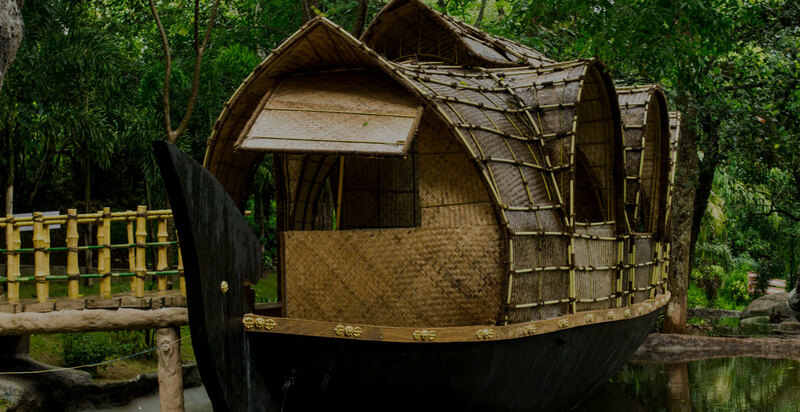 In fact, the town has increasingly become an important honeymoon destination in not just Wayanad but also Kerala, due to the increasing numbers of honeymooning couples who visit the place. In addition to this, the place is an excellent choice if one is interested in going out for camping. There are plenty of locations in and around Vythiri that are ideal for camping and experiencing nature. These locations provide for some of the most amazing and memorable moments right in the middle of nature, surrounded by greenery and natural beauty on all sides. Brahmagiri hills are an excellent location to go camping. Originally famous for being a place abounding in natural greenery, the place has become an important camping location due to the amazing experiences that one can have when on an adventure trip here. The location of Brahmagiri happens to be fairly remote, where one can stay far away from human activity for the most part. Instead, one will be able to witness nature in all its glory and have the chance to remain right in the middle of it all. While camping here, one can get an opportunity to see several waterfalls as well as trek through Wayanad Wildlife Sanctuary, which is home to several different species of animals, particularly elephants. 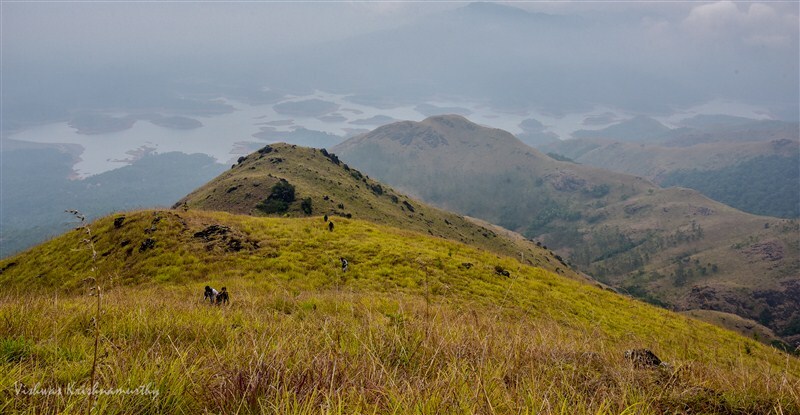 One of the most famous of all trekking locations in all of Wayanad happens to be Chembra Peak. This happens to be one of the tallest peaks in Kerala and the tallest in Wayanad. Situated in a fairly remote place, this place has started to become popular among trekkers who are looking for an adventure. Being in such a remote location, Chembra peak and the surrounding areas are more or less untouched by human activity and still abounds with a great deal of natural beauty. There are plenty of grasslands, forests and hilly areas that surround the main peak, providing breathtaking views of the landscape. While the area immediately surrounding this peak are off limits for camping as well as trekking to some extent by the forest department, there are several areas around the hills that offer great camping experiences. These areas are largely in private lands, meaning that one will have to get permission from the owners of the lands before setting up camp. Much of these campsites are incidentally located in areas that are either farmland, plantations or small woodlands. There are certainly a lot more than these select camping spots in Wayanad. In no way should it be considered as ‘exhaustive’ in any sense of the word. On the contrary, they are but some examples for the wonderful list of places that Wayanad has to offer, if one happens to be into adventures and in love with the wilderness.